When you need to see all the subscribers in a list or all the subscribers in your account you can export your data under Reporting > Export Data. You can export any subscriber list in WordFly under Reporting > Export Data. The export includes total subscribers imported successfully in list. The export also includes total subscribers suppressed in list (unsubscribes, hard bounces and abuse complaints). Your export total will not match the Subscriber List Summary page that appears after importing your list due to these inclusions. Also noteworthy is the use of data fields in the export. If the report is pulled with a data field that was not included in the original import there will be 0 subscribers returned for that report. Including data fields that were originally imported or including all potential data field will yield an export with the entire subscriber list. Follow these instructions to export subscribers in a single list. 2. Under section 1, from the dropdown select Subscribers by List. Then click I'm Done. 3. Under section 2, check the name of the Subscriber list you would like to see data for in the export. 4. 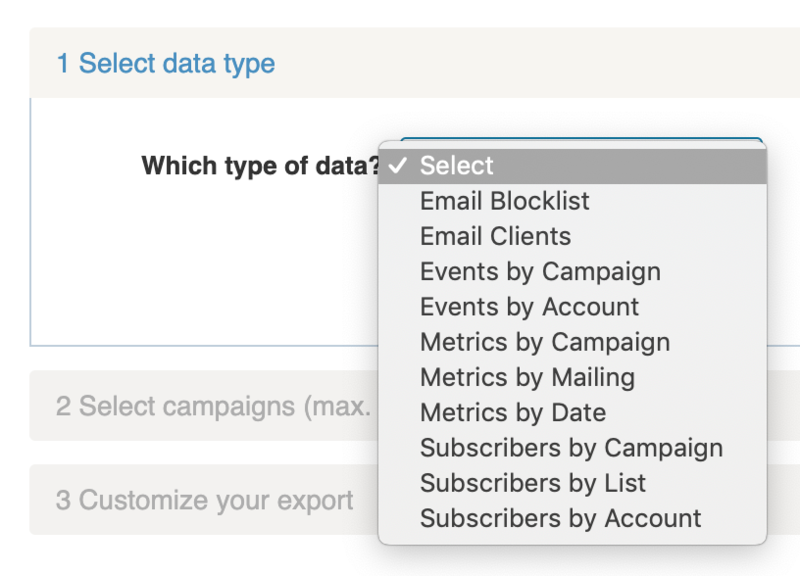 Under section 3, select the data you would like to export for the selected Subscriber list. Select the Subscriber and List data fields you would like to export (for example, First Name and CrmSubscriberId). Use the toggles to quickly select Engagement, CRM, and Preferences data fields. 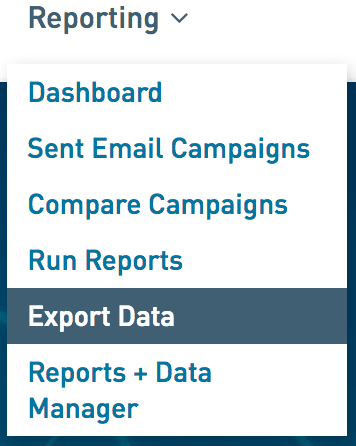 You can export any subscribers included in a campaign under Reporting > Export Data. This export includes all subscribers who were sent the email. Follow these instructions to export subscribers in a campaign. 2. Under section 1, from the dropdown select Subscribers by Campaign. Then click I'm Done. 3. Under section 2, check the name of the campaign you would like to see data for in the export. 4. Under section 3, select the data you would like to export for the selected campaign. This export will provide you with all your current active subscribers. It is also useful to see Engagement data (rates and scores) across all active subscribers in your account. 2. Under section 1, from the dropdown select Subscribers by Account. Then click I'm Done. We suggest selecting Engagement Rate and Engagement Score for this export type. 4. Then select Start Export.